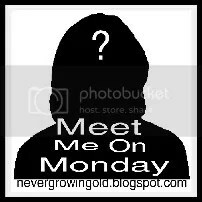 Meet Me On Monday…I’m Back! 1. My favorite kind of animal is …a cat. I love all kinds of animals, but there is just something special about cats. I have 15 outside cats–all are rescues from our local animal control shelter, except for the two who “just showed up”. All of my kitties are spayed or neutered, and all of them are very fat and lazy! 2. Do you like your handwriting? Yes, I like my handwriting. I don’t love it, but I like it. 3. What is the last movie you saw? I believe the last movie I saw was “Salt”. That was over a month ago, and I watched it on television. 4. Do you buy things on eBay? Yes, we’ve bought tons of things on eBay. Our largest purchase was a pool table, back in 2004. In fact, I decorated our game house in 2004 with Coca Cola items purchased entirely from eBay–everything from dishes to wall decor. I even found Coca Cola knobs for our kitchen cabinets on eBay! Our oldest son actually purchased his car from eBay, as well! 5. What did you have for lunch yesterday? Funny that you should ask! I had a hot dog, some cowboy beans, potato chips, a piece of cake, and some ice cream. 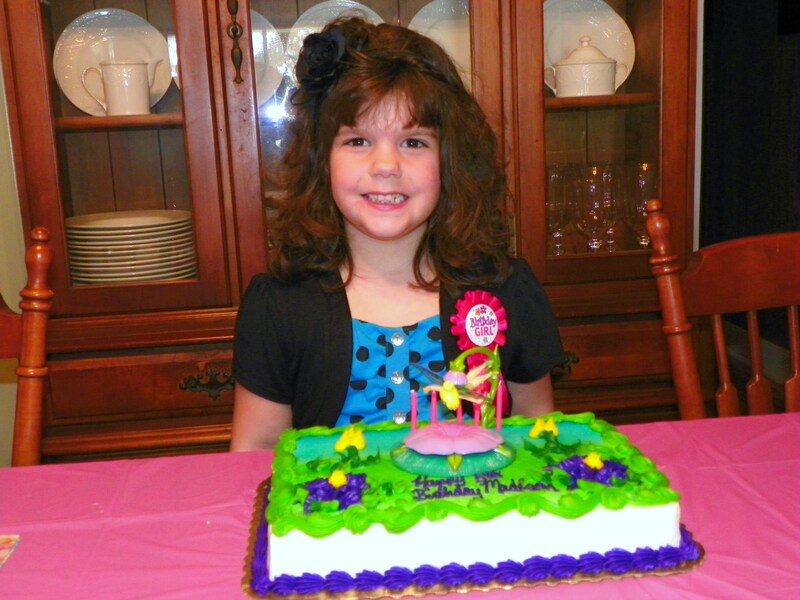 It was our 5-year-old granddaughter’s birthday lunch! It’s good to be back on-line again, after a four-day absence. I’ve experienced several days of fun activities–including a birthday party, sitting around a campfire visiting with family, going to the fair, and watching our granddaughter enjoy the day at a Pumpkin Patch! I’ll be sharing some of these fun experiences throughout the week, but for today I’m just going to visit and catch up with what everyone else has been up to. I’m too tired to do anything else! Having fun is just plain hard work! Have a great Monday, everybody. What fun! I bought things on eBay as well, nothing as big as a pool table however! Welcome back, you have been missed. Having fun is indeed just plain hard work. Thanks for my first big chucjkle of the day. Maddie keeps looking more and more like the grown up young lady she is becoming! Must have been the weekend for birthday parties. We had one for a 4-year-old on Saturday, followed by a big football game. Ate way too much junk! We’re doing the pumpkin patch thing with the kindergarteners this week. Can’t wait! I’ve never liked my handwriting. I have never bought off of Ebay. Sounds like a fun party! Oh she is so pretty, hope she had a great birthday.